Aviation history is filled with the stories of remarkable inventions that advanced technology and paved the way for the future of flight. Today, we’re sharing the story of an innovation that has stood the test of time to make flying safer, more reliable, and more efficient for more than 50 years: the Pratt & Whitney Canada (P&WC) PT6 engine. In 1957, Pratt & Whitney Canada’s CEO, Ronald Riley, noticed a gap in the aircraft market for a turbine engine to replace the traditional piston-driven aircraft engines used to power small aircraft. Riley saw an opportunity for the Canada division to transition from its role as a service and support provider for the American division to begin producing engines of an original design. Under his direction, P&WC assembled a team of young, talented engineers with the goal of recycling spare parts from the company’s piston engines to develop a smaller, more lightweight turbine engine. At the time, no one could have known that the new engine design would make P&WC one of the world’s top engine manufacturers and change aviation forever. Unlike fixed-shaft engines, in which the gas generator and power turbine share the same shaft, the PT6 was developed to have a unique, two-shaft design. With a rearward-facing reverse flow inlet and a forward-facing turbine section, the configuration separates the power turbine and gas generator, making it easier to access for maintenance. The PT6 engine has a multi-stage axial compressor that’s driven by a single-stage, lightweight centrifugal compressor turbine. An independent “free-power” shaft links the power turbine to the propeller through an epicyclic gearbox and drives the propeller. After years of testing, the first PT6 engine entered production in 1963. The PT6A-6 was first delivered to Beech Aircraft Company for the Beech 87, which would later become the iconic King Air. Over the years, P&WC’s engineering team continued to evolve the PT6 engine family, enhancing its power and performance capabilities. Today, the PT6 is the world’s most popular turbine engine, with over 47,500 produced since entering service. Considered the gold standard for turboprop aircraft, the PT6 family is available in three series with increasing power levels for both single and twin-engine aircraft installations in more than 130 different aircraft applications. When compared to the original engine, today’s PT6 engine is up to four times more powerful, with a 40 percent better power-to-weight ratio and up to 20 percent better specific fuel consumption. It’s no surprise that the PT6 has a loyal fan base; the “PT6 Nation” is made up of hundreds of pilots, owners, maintenance professionals, and enthusiasts who love the iconic engine. 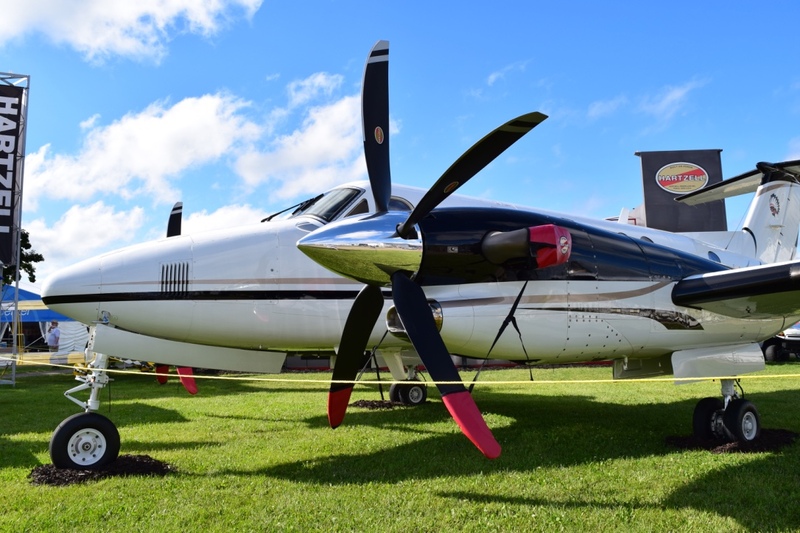 Hartzell Propeller is proud to be a part of the PT6’s legendary history. When the first PT6 left the assembly line back in 1963, it was paired with a high-performance Hartzell prop. The two companies formed a strong partnership based on their shared values of safety, quality, and innovation. Today, there are over 60 different models of PT6 turboprop engines with specifically designed Hartzell aircraft propellers. Driven by a shared passion for innovation, Hartzell Propeller and Pratt & Whitney Canada continue to develop market-leading engine-and-propeller combinations which promote performance and safety improvements for pilots around the world.